As I walked along Homeland Drive, there were hundreds of veterans loading and unloading and the promise of more to come. Along the steps of the Memorial Plaza (picture two), Rochester Honor Flight (which also has a new slick website) had a great jazz band playing. As I walked through the crowd, it seemed several thousand people were spontaneously celebrating, dancing, walking, taking pictures….! The newly renovated Washington Monument looks just great and the Trust for the National Mall (which also has an amazing website) deserves a big kudos for their fund raising and supervision of the project. You might even call it vision! I assume there will be an opening ceremony. You can see and download the daily images for personal use only at my IMAGE LIBRARY. 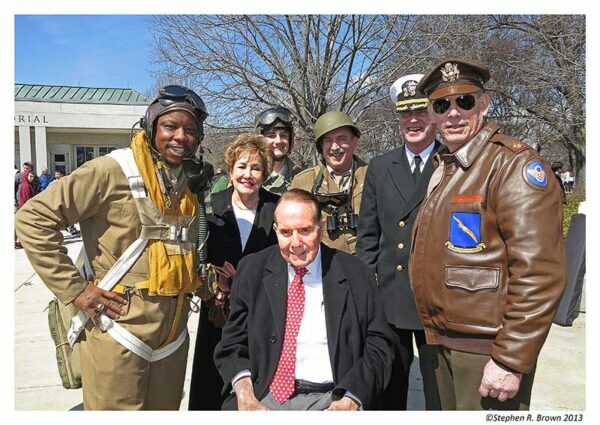 Senators Elizabeth and Robert Dole with the “usual suspects”! 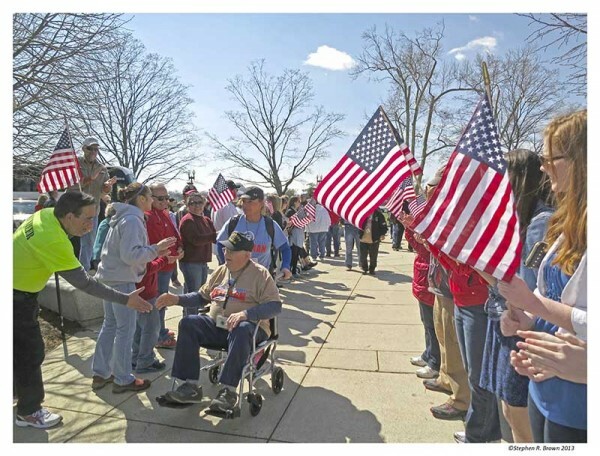 April 5, 2014 | Filed under Blogs, Books, Honor Flight, WWII Memorial and tagged with Current Affairs, DC PHOTO BOOK, Honor Flight, Jewel of the Mall, National Park, patriotism, Senator Dole, Travel, veteran, Washington, WWII Memorial.